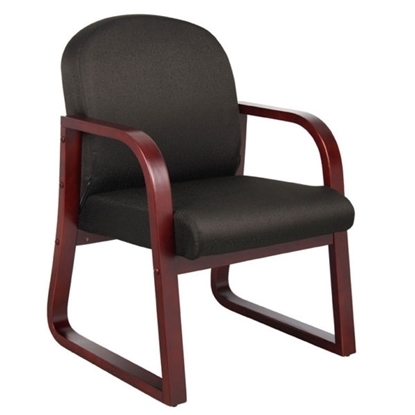 Meet with guest or have them wait in your reception room in style with this multi-purpose guest office chair. 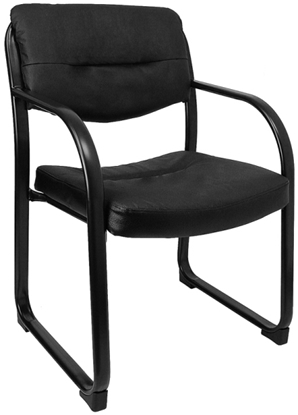 The BT-510 features Black leather like LeatherSoft upholstery, padded back seat cushions and a waterfall seat that reduces leg strain. Perfect for a home office or private workspace. 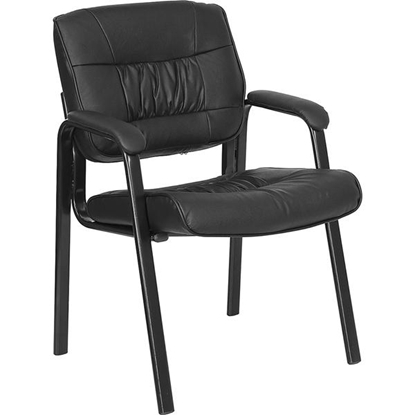 A contemporary Guest Office Chair by Boss, the B9570 works well in a private office, reception area, conference or waiting room. It has a full back that adds to its comfort and a sled base that allows you to move it around easily. 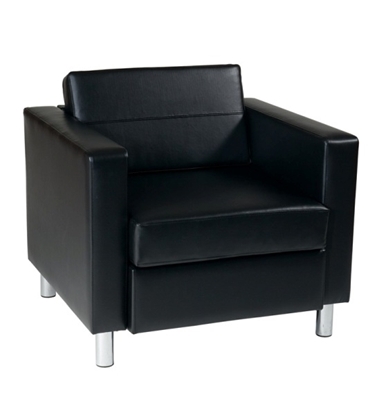 The rounded arms provide comfort and a touch of style. 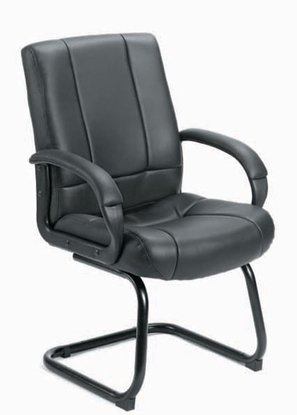 Free shipping and warranty available on all discount office furniture. 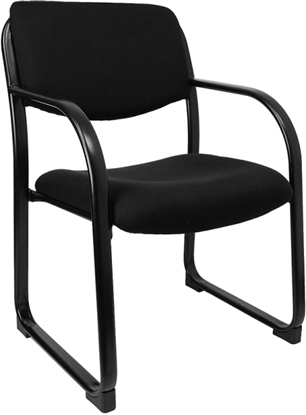 Make a great impression with this affordable mid back guest chair. 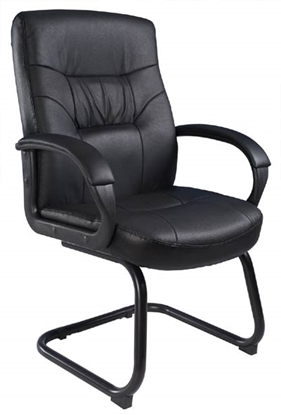 This office chair is upholstered in with durable Caressoft, designed with executive styling and extra lumbar support. 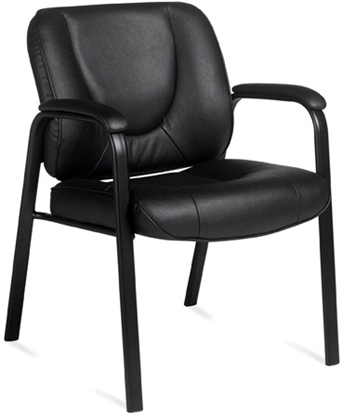 The B7909 is a great addition to any waiting room, conference room or private office. A great addition to any office reception are or home living space, this Accent Chair features a wood base and stylish upholstery. This chair is available in black CaressoftPlus upholstery with Black legs or Beige or Slate Grey fabric upholstery with Driftwood legs. A perfect accent piece to any living area or office reception area. This chair features a nail head trim detail to go along with Driftwood Color Legs. 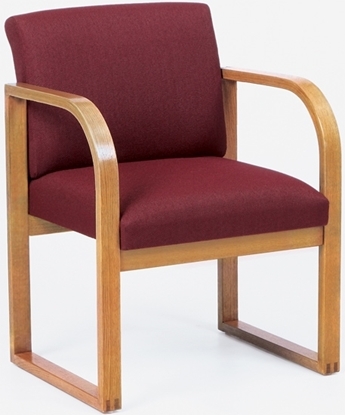 This chair is available in 3 stylish upholstery colors. A great way to add a small and simple place to sit in any waiting area or reception room. 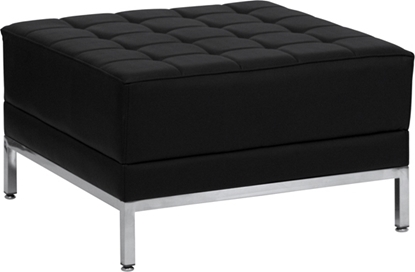 This bench is upholstered in Black Luxhide and is designed to match the OTG5001 Single seat chair. 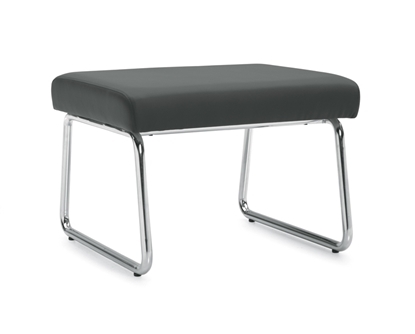 It can be used as a sitting bench or an ottoman. 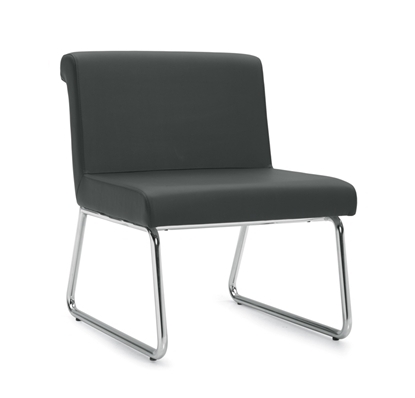 A modern looking reception or waiting room chair that combines style with function. 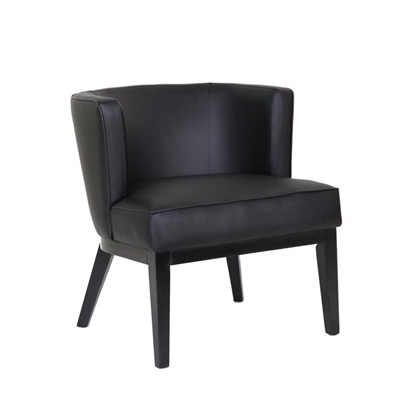 This chair combines sturdy construction with a chrome frame and black Luxhide upholstery.